In 2015 actress, director and photographer, Esther Anderson, received THE VOICE OF A WOMAN - DISTINCTION AWARD FOR OUTSTANDING CONTRIBUTIONS TO FILM in a career that has spanned over 50 years. 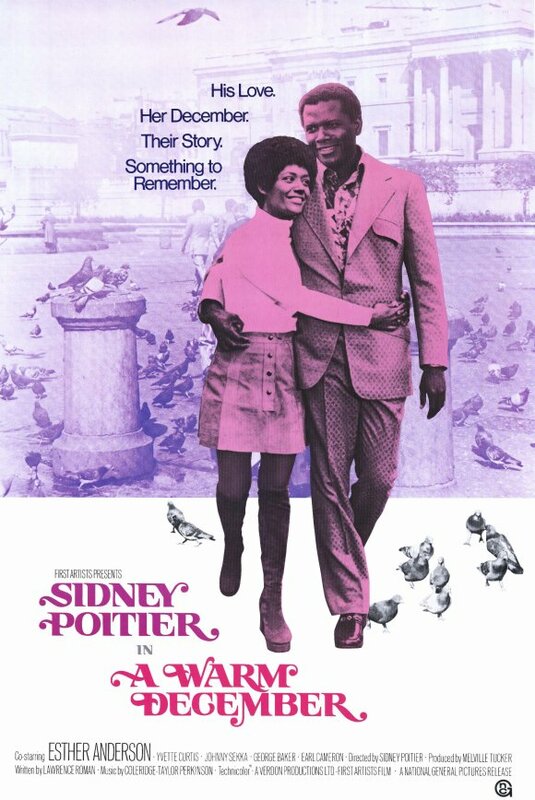 As seen in the photo above she co-starred with actor Sydney Poitier in the film "A Warm December" which he also directed. 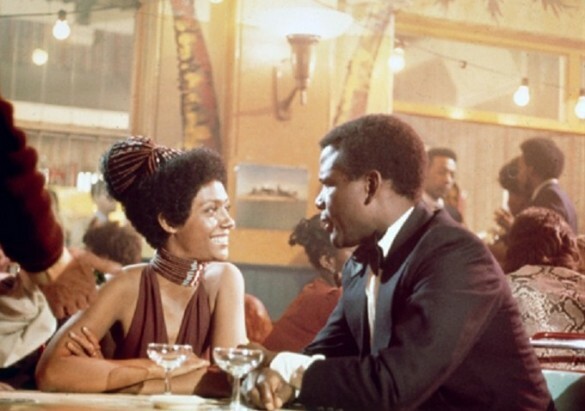 Shot in 1973 entirely on location in the UK "A Warm December" is a love story, with Anderson playing Catherine, an African Princess. At the time Ms. Anderson was one of the first Black actresses working in the British film/television industry since her arrival to London in the early 60's. Anderson born in Jamaica moved to London in 1961 where she began modeling for the artist Aubrix Rix, an illustrator for Woman's Own magazine. At the same time as working as a model she studied drama at the Actor's Workshop. She was offered a role in a documentary film by Jo Menell, who was a producer for television's Panorama. In addition to a modeling and acting career she danced with her sister Tiffany Anderson, for such bands as: The Rolling Stones, The Animals, The Walker Brothers, Sonny and Cher, Cathy McGowan and Donovan. Already a success in film and television in the UK, Anderson began to develop the Jamaican music label Island Records in the early 1960s with Chris Blackwell selling Jamaican records in London from a Mini Cooper, writing lyrics, taking stock, and promoting and managing all the Jamaican artists signed to the label, including Millie Small, Jimmy Cliff and Bob Marley and the Wailers. Anderson's iconic photographs and grooming of Bob Marley along with their writing collaborations, helped to launch his international career in 1973. In parallel with her photography and work with Island Records, Anderson continued to develop her career as an actress. She secured roles in a number of early 1960s British television shows, including Dixon of Dock Green and The Avengers. She played roles in movies such as Henry Levin's Genghis Khan for Columbia Pictures. Robert Freeman's The Touchables for Twentieth Century Fox, Ted Kotcheff's Two Gentlemen Sharing, Jerry Lewis's One More Time for United Artists, and Sidney Poitier's A Warm Decemeber for First Artists. She helped to launch the film industry in Jamaica, acting as co-producer of the film The Harder They Come, encouraging the other producers and director Perry Henzell to give the lead role to a new Jamaican talent, Jimmy Cliff, instead of to Johnny Nash. She coached Cliff for the part, partly autobiographical, and he gave a formidable performance. Anderson also organised the finance for the soundtrack, bringing in Chris Blackwell to put up the US$5,000 needed to complete the film, plus a music distribution deal. Anderson continues to develop her work as a photographer and documentary maker. She has been exhibited by "La Tete Gallery" in Paris curated by Galaad Milinaire, the Photographers' Gallery in London, the Stephen Bulger Gallery in Toronto, Canada, and in the Caribbean by Niki Michelin in Antigua. Her portraits include as subjects: Louise Bennett, Marlon Brando, Amanda Lear, Catherine Deneuve, Charles Prince of Wales, Denzel Washington, Jacques Chirac. Her photographic collection has been exhibited at The Photographer's Gallery in London. She is also represented by Bill Gates' agency Corbis and the Stephen Bulger Gallery in Toronto. As a filmmaker, Esther Anderson's first film, Short Ends, was an official selection at the 1976 Edinburgh Film Festival. She researched the lives of people of colour at the Library of Congress, Washington, DC, developing the idea of making films on positive role models. The first of these films, The Three Dumas (the story behind The Count of Monte Cristo) was produced in collaboration with architect Gian Gody under the banner of Trenhorne Films (UK), a dramatised documentary about novelist Alexandre Dumas and his ancestors: the grandson of the French Marquis de la Pailleterie and an enslaved African, Dumas overcame all the obstacles of prejudice to become a role model of contemporary literature. Anderson herself portrays General Toussaint L'Ouverture, leader of the Haitian Revolution. The avant-premiere of The Three Dumas took place in 2005 in France at Villers-Cotterets, birthplace of Dumas, to coincide with the inauguration of a statue of him in the presence of the French Minister of Culture. The UK premiere took place in 2007 at the Museum of London Docklands, coinciding with the inauguration of the new Sugar and Slavery Gallery during the bicentenary commemorations of the 1807 Abolition of the Slave Trade Act. Other screenings around the world include the British Film Institute, Canadian Museum of Civilization, McCord Museum, Massachusetts Historical Society, McCormick Tribune Freedom Museum, University of Leeds, University of Nottingham, University of Birmingham, Centro Cultural Palacio La Moneda, V&A, and an Official Selection at the Portobello Film Festival. Bob Marley: The Making of a Legend had its London premiere at the British Film Institute (NFT1) and screened again at THE VOICE OF A WOMAN FILM FESTIVAL in October 2015.